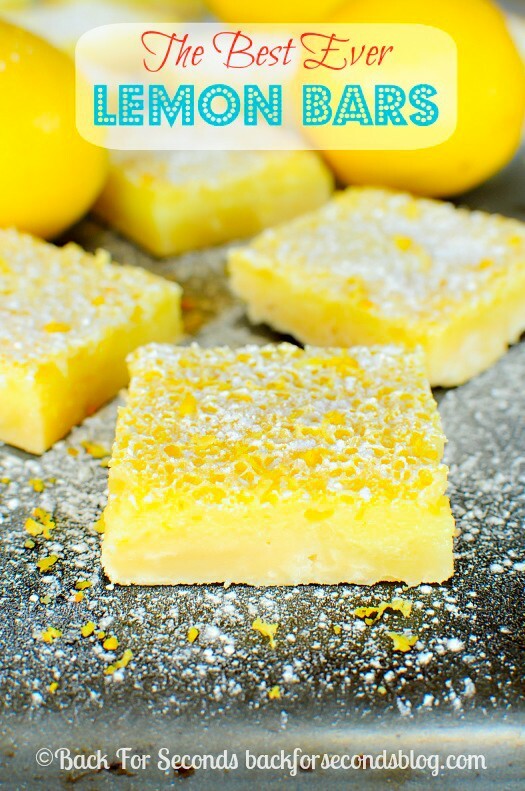 My recipe for The Best Ever Lemon Bars is super easy and perfect for lemon lovers! I have made these lemon bars probably 100 times. I have tweaked it just a bit each time until I hit the sweet spot. These are truly the best ever lemon bars. They are my daughters favorite, and they always disappear when I bring them anywhere! Also? They are so easy to make! The crust is simple – just 3 ingredients, but it is magical. It has so much buttery flavor and the texture is perfect! It is the ideal base for the dreamy lemon filling. 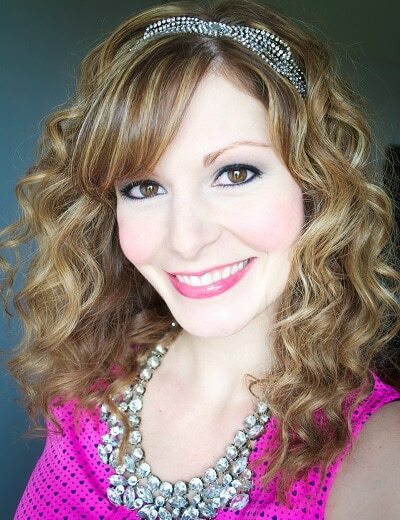 This filling is so bright and vibrant. I like to add lots of lemon zest after the bars have cooled to bump up the lemon flavor even more. And a sprinkling of powdered sugar just makes them so pretty! These are so refreshing and delicious. They will be a hit wherever you take them. I speak from experience. 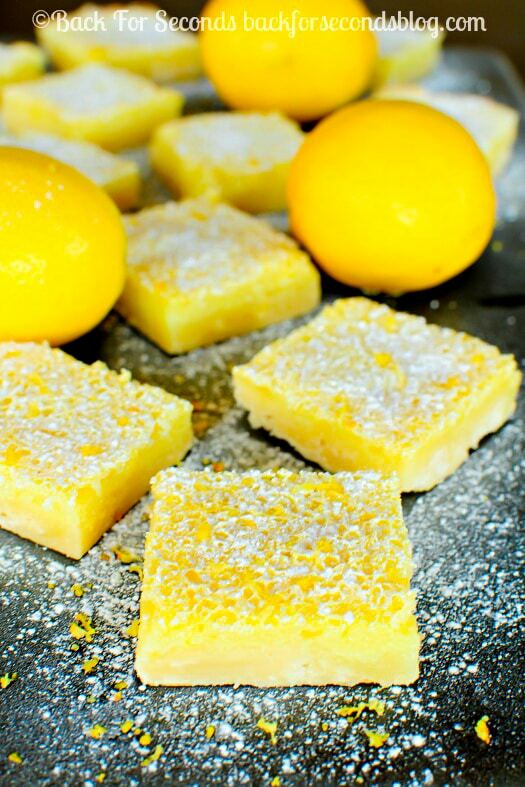 I love lemon bars, and your pictures are awesome! I love, love, love lemon bars! Nothing beats something a little sweet and sour at the same time. Would you believe I’ve never made lemon bars? 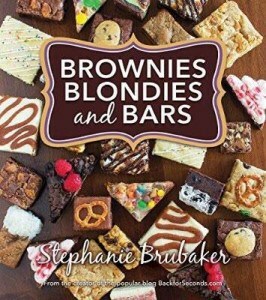 These look so good – definitely going to have to try them! What a fabulous treat! Thanks for linking up with What’s Cookin’ Wednesday! It is 3 quarters of a cup, the recipe is correct 🙂 Enjoy! Yes! They can be frozen. Enjoy, Melissa!